At the beginning of the year I had the pleasure of working with my local JoJo Maman Bebe. The beautiful new shop had so many lovely items for little ones that I lusted over, and a maternity section that I dreamed of browsing one day. So when JoJo Maman got in touch a few weeks ago, I was absolutely thrilled! 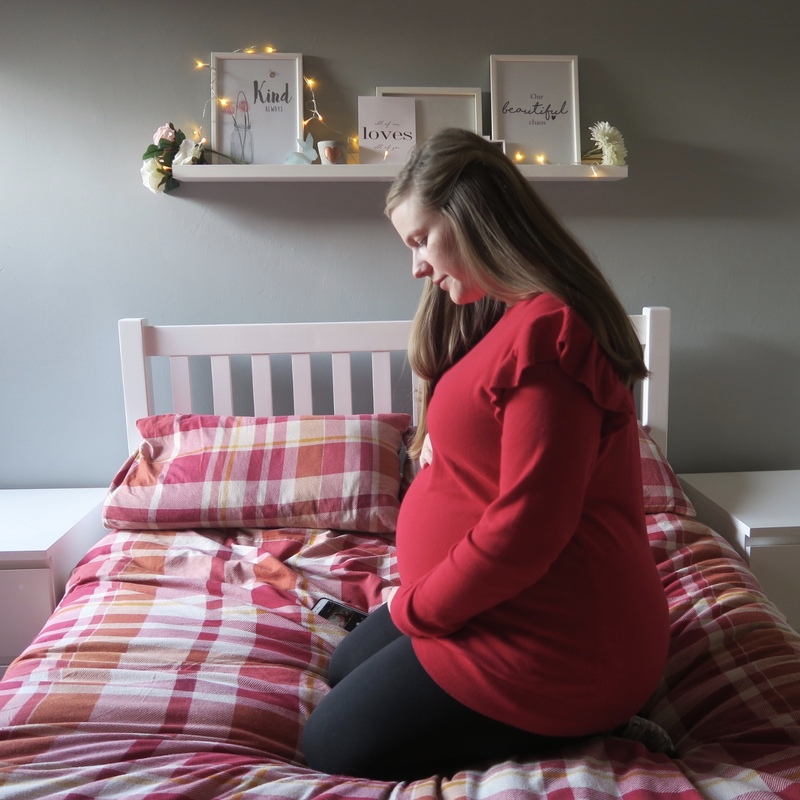 I was sent some of their beautiful maternity items from the winter collection, and I've loved styling them over the last few weeks. I'm now 36 weeks pregnant, so buying maternity items this late wasn't something I thought I would do. 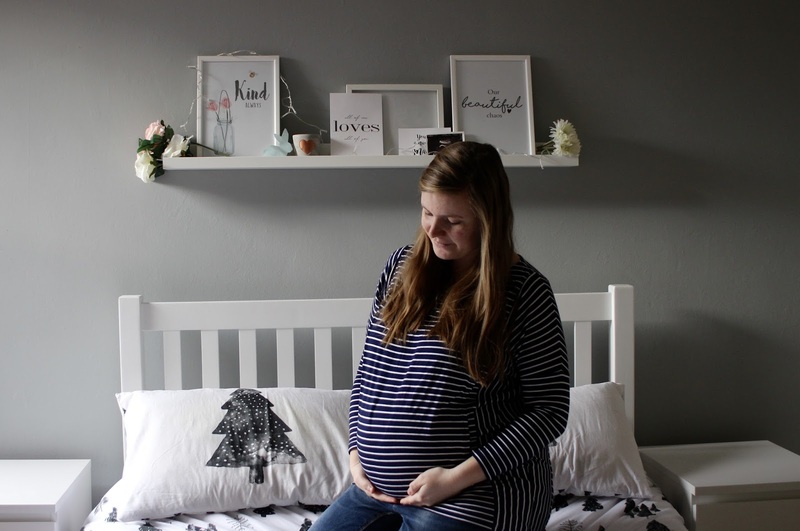 But I've found that with a lot of JoJo's items, they're designed to last beyond your bump. So I know I'll be wearing nearly all of these items once baby girl is born! Maternity leggings are something I kept putting off buying. But oh my goodness. I have been most definitely missing out! These comfy cotton maternity leggings are so soft and comfortable to wear. 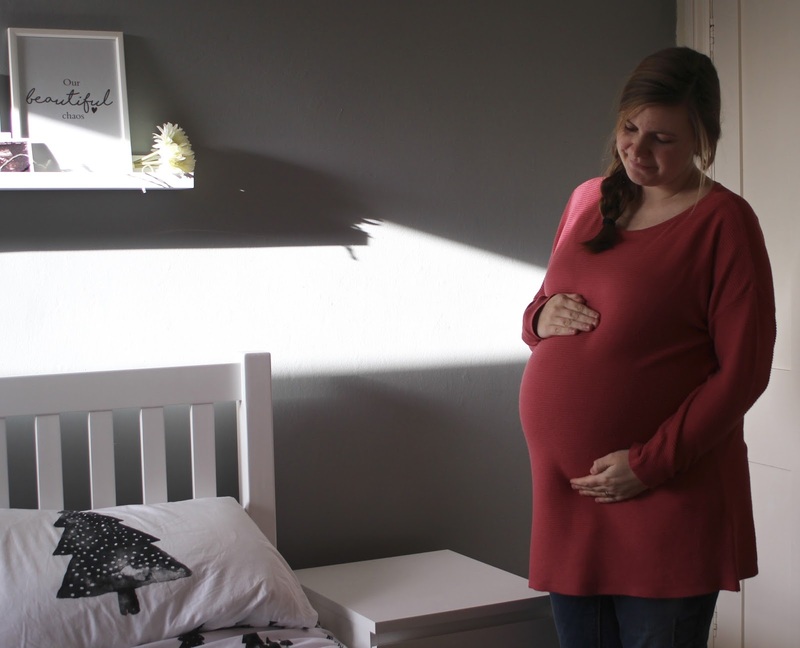 The bump band can be worn over or under the bump (I'm an over the bump kind of gal though! ), and where it's seamless you can't notice it under clothing. The biggest thing I love about these leggings is that they're not see-through! A huuuuge plus - especially during pregnancy. As it's so close to Christmas, of course I didn't want to miss out of the festive clothing. I thought this ruffle maternity jumper was the perfect subtle way to embrace Christmas - but not be too garish. The knitted red jumper is not only comfortable and soft, but it is lovely and warm to wear too. I love the pretty ruffle sleeves, and because it has been designed to fit all throughout pregnancy, I know this one will definitely be staying in my wardrobe once baby is born. I practically live in snuggly jumpers in the winter, so just had to choose this ribbed maternity jumper too. It comes in a range of colours, but I opted for the pink as it's my favourite colour! I was a bit surprised by how oversized the jumper is, and I do think I could have probably sized down. But the slouchy fit means it's really comfortable to wear, and I can just throw it on with some jeans and feel dressed down, but still stylish! 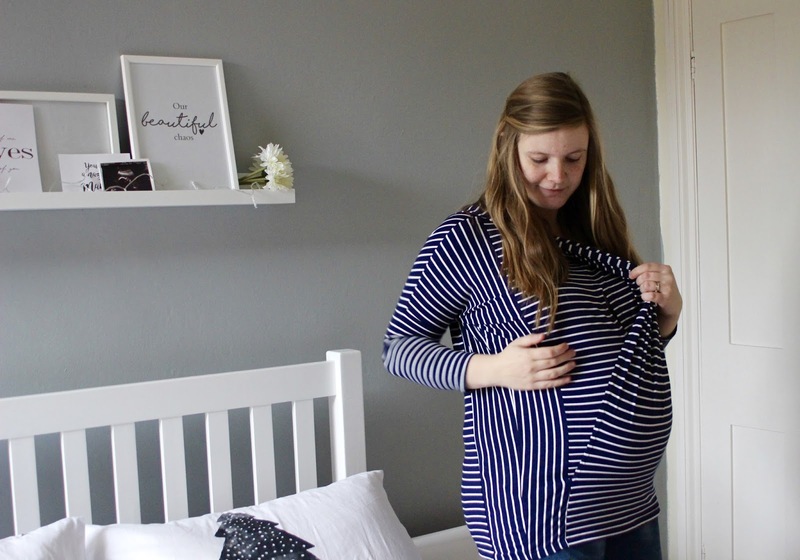 The final piece of clothing that I chose was the lovely striped maternity and nursing top. Stripes are my absolute wardrobe go-to, so I was drawn to this top straight away. It wasn't until it arrived though that I realised how practical and clever the top actually is! 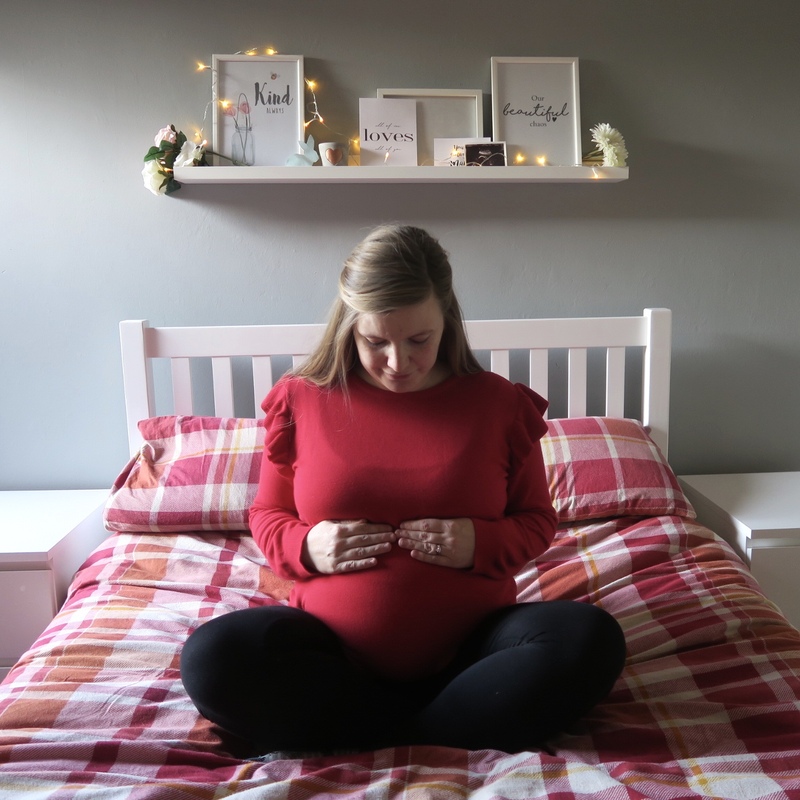 Designed to last throughout pregnancy and beyond, the top features cleverly concealed feeding slits to make breastfeeding (whether at home or out and about), that little bit easier. If you didn't know though you wouldn't notice - and I think this striped version makes the slits that little bit more discrete too. Overall I have loved all of the pieces I received from JoJo Maman Bebe. They've been worn, washed and worn again on repeat for the last few weeks, as they're just so lovely! Their clothing is on the more pricier side, but the quality really does show. And the fact that so many of their items are designed to last beyond pregnancy, means that they're worth spending that little bit more too. Disclosure - I received these items of clothing in exchange for this review. All opinions are honest and my own.